In 1906 an iron mass was found by a little old boy who tended cattle in the forest 3 km southwest of the village Kitki?j?rvi. 50 years later a larger 15 kg mass was recovered. The major constituents kamacite, taenite, troilite, schreibersite, and minor sulfides are, of course, not unexpected in a IVA iron. Sericho (Habaswein). in Sericho / Habaswein, Kenya, Africa. Very nice mirror polished Endcut ! The craters' age is estimated as 4,000–5,000 years. The craters, containing iron masses, were reported in 1576, but were already well known to the aboriginal inhabitants of the area. 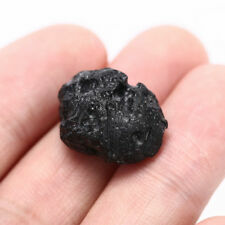 THE SPACE ROCK YOU WILL RECEIVE IS SIMILAR TO THE ONE PICTURED. Seymchan belongs to Main Group pallasites, but it is considered anomalous due to its high Ir content. Before the discover of its pallasitic structure it had been classified as IIE anmalous coarse octahedrite. Meteorite JaH 203 - Mesosiderite-C2 - 15.22 g part slice! I can't be sure. weight ：112 g.
Maguna thought the mass was the tip of an iron vein. The next expedition, led by Rubin de Celis in 1783, used explosives to clear the ground around the mass and found that it was probably a single stone. Northwest Africa 11199 (NWA 11199). Class: Iron, IIIAB. Northwest Africa 11199. Abbreviation: NWA 11199. Areas of plessite are visible. Few sulfide or phosphide inclusions were observed; however, only a relatively small cut surface was examined. Length 14mm. Width 14mm. Hight 14mm. 100% Genuine Natural "Grade A". 5.08 gr Meteorite Cuba recent fall 01 Feb 2019 Vinales original specimen! 38.23 x 31.75 x 1.75 mm. Nice size! looks good on display and good feels in hands. Brachinite - found 2010 in North West Africa. SIZE: See scale cube 1 cm (not included). Slices were cut only with high end diamond saws cooled with pure alcohol. Material: Natural oxhorn. S6 For Original i9800 Earphone Headset S6 Samsung GALAXY Edge Headphone. Wholesale Lot Natural Gemstone Round Spacer Loose Beads 4mm 6mm 8mm 10mm 12mm. New Electric Etching Engraving Tool Pen Carving Brush For DIY Handcraft Crafting. You will get exactly the thin section pictured here. Size of the glass is 27 x 45 mm. This thin section was made by one of the world's best thin section makers. 【Muonionalusta���In 1906, in the far northern part of Sweden, a pair of Swedish siblings played inadvertently discovered a distinctive iron piece. It is the first choice for the production of stone jewellery and crafts. SPRINGWATER, Canada, part polished slice 0,94 g.
Country: Seymchan, Magadan district, far east Russia. Type: IIE or Pallasite. The main mass was turned to the Academy of Sciences of the USSR. Nickel (N) about 6%. (1968) Iron. Class and type: IRON. Meteorite**Vinales Valley, Cuba**22.02 Grams,New Fresh Fall 2/1/19!Fresh Crust! Up for sale is a brand new fall called Vinales Valley, Cuba. A large fireball entered our atmosphere on Feb, 1 2019 around 1:16 pm and exploded over Cuba causing a sonic boom powerful enough to explode windows and send fragments through people’s roof tops. There is a lot of the material already confiscated from the Cuban government and much is lost in the jungle. This is your chance to get a nice 22.02 grams piece fresh from space. It is covered in fresh fusion crust with regmaglypts and secondary fusion crust! Thanks for your interest, have fun bidding. This meteorite is unclassified and there is currently being analyzed and we will soon know what type. I will combine all shipping, $.25 each additional item. Etched part slice. Size: 32 x 26 x 3 mm. Fukang 44°26'N, 87°38'E. Fukang, Xinjiang Province. The sample was at the Tucson Gem and Mineral Show in February 2005, and seen by D. S. Lauretta ofUAz. Revised 26 May 2009: Revised pallasite classifications. 20Pcs Sim Card Tray Remover Eject Ejector Pin Key Tool For SAMSUNG S7 Edge LG G5. Nail Dead skin scissors Nail Art Nail clippers Pedicure Nipper Stainless Steel. Pets Dogs Chew Toys Tennis Ball Non-toxic Bite resistant Training 6.5cm Gift. Black Indochinite Tektite Stone 1 Box Lot (similar to picture, stock of more than 100 boxes) Weight: stones about 60 gram in total (each piece about 4 to 7 gram) Size: each piece about 22x16x5 mm (0.9x0.6x0.2 inch) Size of the plastic box: 130x64x22 mm Weight of the box: 40 gram (total weight of the product is about 120 gram) Location: Discovered at Maoming region, Guangdong Province, China The pictures in the listing are just for reference as we are selling multiple lots with same pictures. .
Meteorite NWA 3133 - ACH-prim, paired with NWA 2653, the FIRST CV7 meteorite! Here you have the chance to get it for much less! Genuine Moon Rock . We also keep a record of every image we upload . Natural raw moldavite. Buy the moldavite direct from source. I’m a moldavite miner. Fresh moldavite - found 1-2 months ago. Every natural moldavite is unique combination of his shape, sculpture, color and other features. 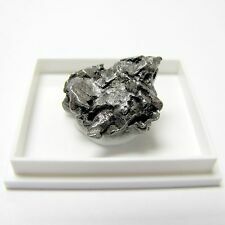 Meteorite**NWA 3133 (ACH-prim)**0.35 Grams; CV7!!! This slice weighs 0.35 grams is has a very fine polish to both sides, found in Morocco 2004. Abbreviation: NWA 3133. Northwest Africa 3133. Mineral mode in vol. %, Al2O3 =1.21 to 1.74 wt. %), chromite (TiO2 = 2.61 wt. Meteorite NWA 1879 - rare mesosiderite-C - 3.819 g ! Meteorite NWA 1242 - rare mesosiderite-A2 - 1.627 g ! We will do our best to resolve the problem. It was found in 2008.